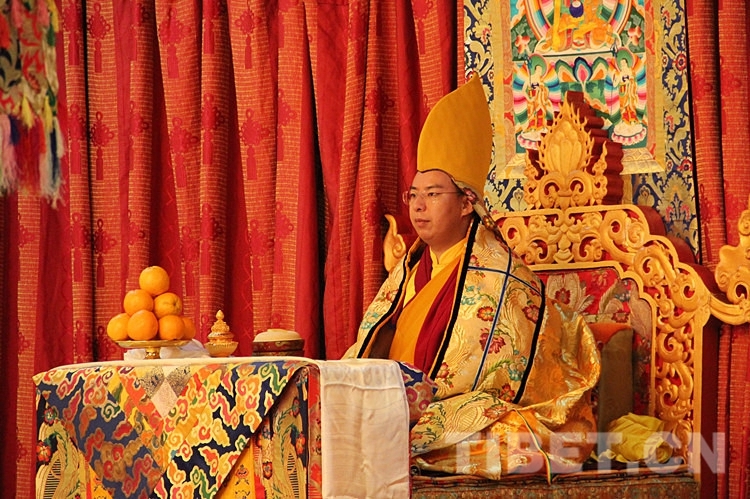 The 11th Panchen Lama Erdeni Choskyi Gyalpo preside over the religious ceremony to commemorate the 30th anniversary of the death of the 10th Panchen Lama at the Xihuang Monastery in Beijing, on January 28, 2019. 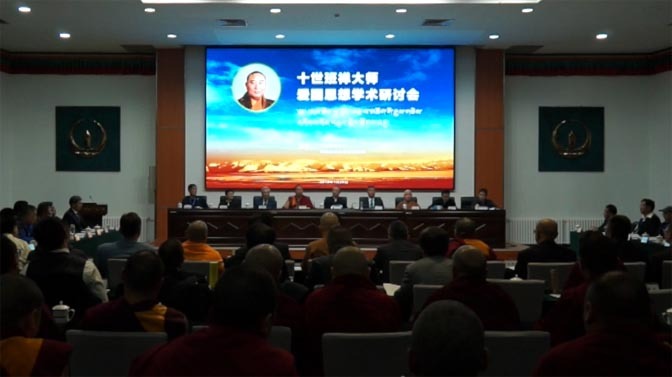 On January 28, a religious ceremony to commemorate the 30th anniversary of the death of the 10th Panchen Lama was held in Beijing. 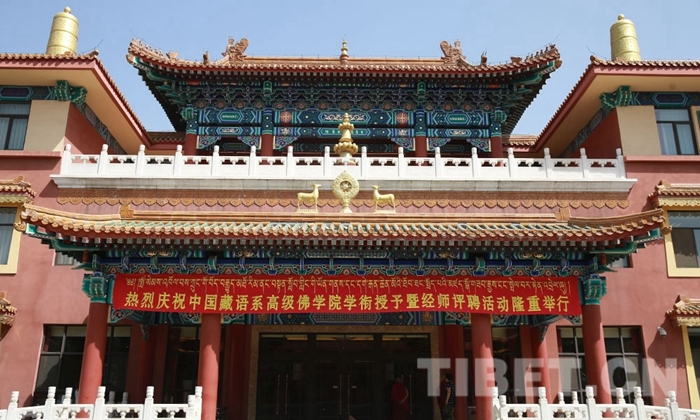 At 9 o’clock in the morning, three separate commemorative activities were held at the Guangji Temple, the Yonghegong Lamasery, and the Xihuang Monastery. 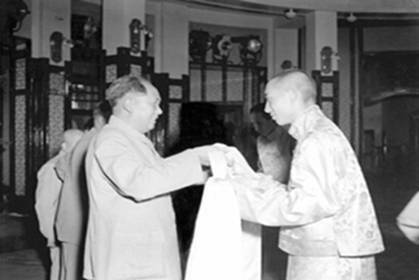 At the site of the commemoration, the atmosphere was solemn. 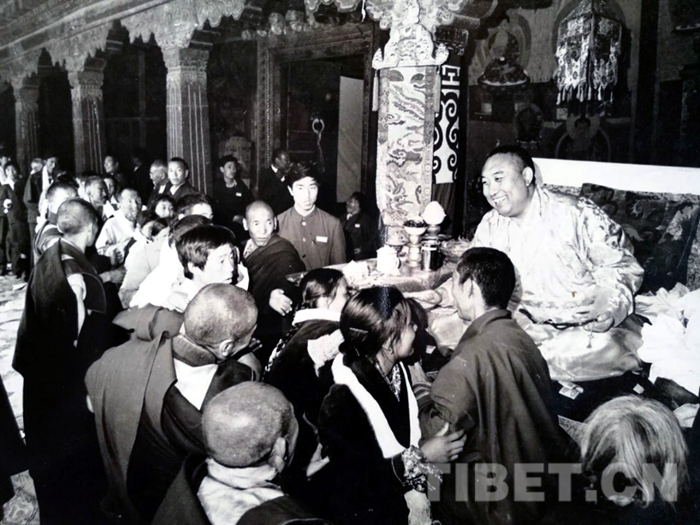 Religious disciples and representatives followed traditional rituals, chanted scriptures, and prayed in earnest. 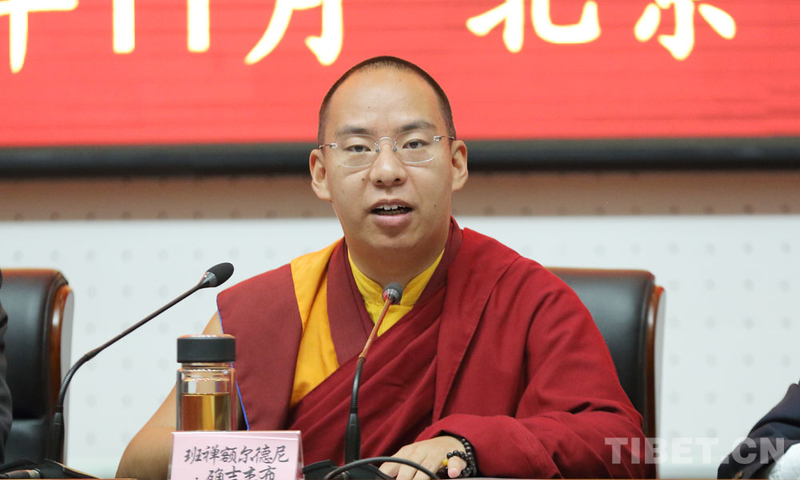 The 10th Panchen Lama was a great patriot, a famous state activist, a loyal friend of the Communist Party of China, and an outstanding leader of Tibetan Buddhism in China. 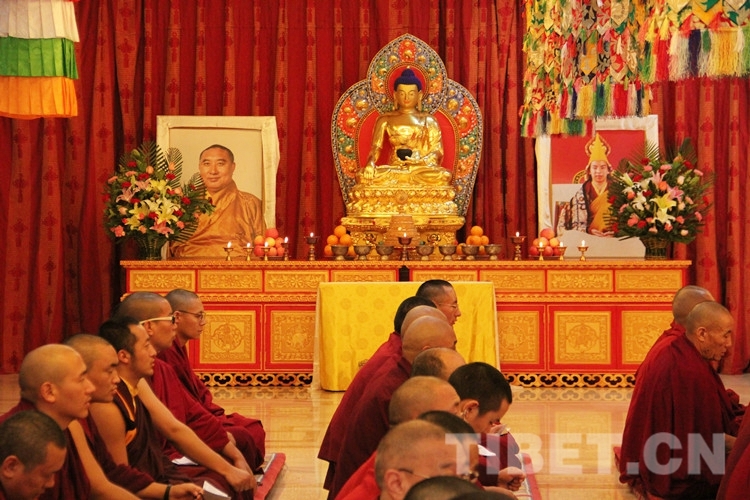 Photo shows the religious ceremony to commemorate the 30th anniversary of the death of the 10th Panchen Lama at the Xihuang Monastery in Beijing, on January 28, 2019.